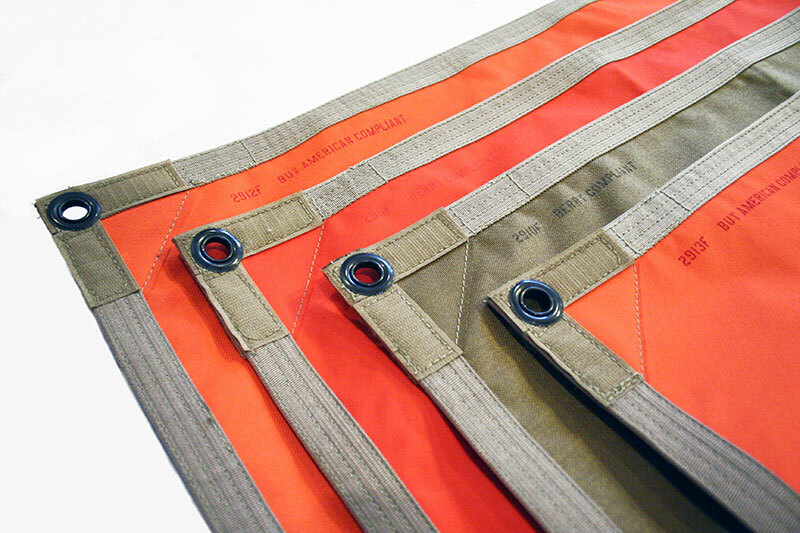 Boresight Combat ID Thermal Panel 55 (Tan / Orange – Abrams), TI | Vehicle & Ground | Thermal Tape and Markers | Adams Industries, Inc. The Combat ID Thermal Panel (CIDT), or Thermal Identification Panel (TIP), is a lightweight thermal marker, designed for marking individuals, vehicles and structures for ground to ground and ground to air signaling. The thermal reflective side of the panel provides a signal that can only be seen by thermal imaging devices, minimizing risk of unwanted detection. The CIDT Panel is offered in a either a TIP 4'x4' Vehicle, a TIP 2'x2' Vehicle, or a TIP-LITE 2'x2' Personnel configuration. The personnel panels are made of lighter materials to support dismounted operations and can deployed to individual soldiers. All panels have reinforced edges and have grommet and Velcro ® attachment points.